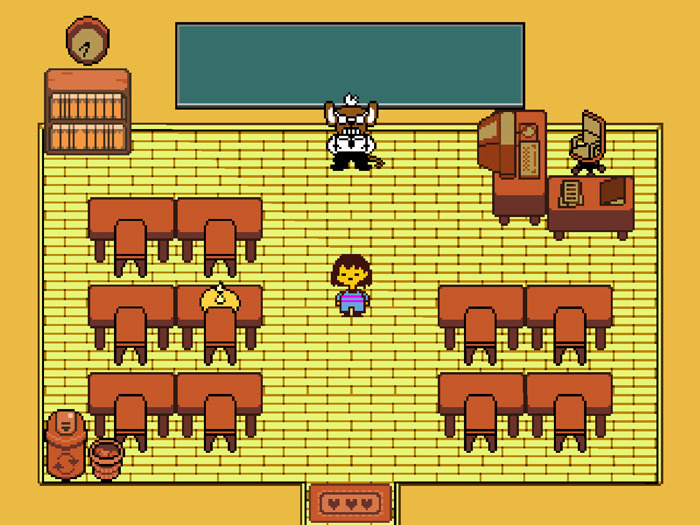 "The best Undertale fan game we've seen!" 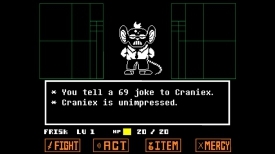 We know you love Undertale and we also know there is a wealth of Undertale fan games out there whilst it is still in its early days Undertale Customs may well be the best of all the fan games, at the moment there is only the pilot episode available in which you can battle your teacher Craniex and although there is only this battle available there is many different ways it can end depending on how you decide to play it, or if you are like me you will find it impossible to win against him and get far more game time out of it than you would expect as you have to replay it over and over again just to try and get a little bit further in the battle each time. Undertale Customs has the exact same style and feel as the beloved original game and looks just as good (maybe even a little better) it will be very interesting to see how it progresses as new episodes released hopefully there will be a large extension to this as if I ever manage to get past the first battle it will be very enjoyable! Undertale Customs is a must download for any fans of Undertale and stick with us for when new episodes are released, You can download the Undertale Customs pilot episode here for free.